The allure of a well-groomed tree and the shade it provides on a hot summer day is always delightful. Trees are some of nature’s most fascinating creations and an essential part of the environment. Due to their size and the complexity of their roots, tree service and care are a science for professionals. Some of the activities involved in tree care include trimming, reshaping the tree to beautify your landscape, planting trees in strategically chosen locations, moving trees, tree cutting, and tree pruning. Some of these services are for aesthetic or safety purposes while others ensure the health of the tree. Our reliable Winter Park Tree Service Company provides a full suite of tree services at an affordable price. If you’re wondering about the tree services we offer, read on. Trees grow both laterally and vertically. The lateral growth is by extension of branches. 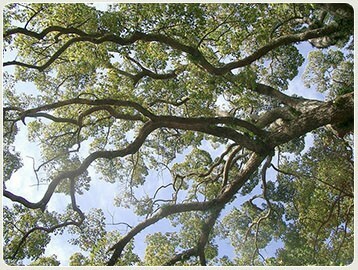 As part of tree care, professional pruning of branches improves the tree’s health and beauty. Beautifully trimmed trees translate to a more aesthetically appealing landscape and can enhance your property value. Trimming and redirecting of branches are both necessary to attain the tree look that you desire. 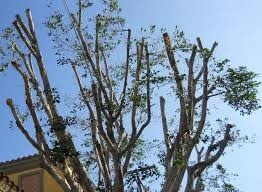 Our tree trimming service in Winter Park is carried out by professionals who understand the risks involved with trimming large tree branches. As part of a tree’s lifecycle, new branches sprout while old ones wither and die. It’s important to be proactive about your tree care and ensure dead branches are safely removed before they fall off and cause injury or damage. If you are trimming a tree to enhance the tree’s health, you need a company that understands the diseases and pests that afflict trees. If the tree pruning is for aesthetic purposes, you as will need a company that understands how to target branches to achieve a specific shape without causing damage to the tree. As a company, we have the skills and experience to carry out these services at an affordable price. With specialized equipment, an entire tree can move from one location to another without damaging the surrounding property. This process involves the use of a crane to hoist the tree from its current site. Additionally, we can access hard to reach places to move or maintain your trees. For example, we can move a tree from your backyard to a designated location in front of the house. This is essential because tree care often involves the use of heavy machinery and it is important that the operators are certified to operate this machinery to reduce the risk of injury or damage to property. When it comes to insurance, your contracted company’s insurance can compensate you in the event of an accident. When it comes to a tree service company, some things indicate professionalism or lack of it. For instance, a lack of helmets, tree climbing gear, or safety goggles is definitely not a good sign. Establish that you understand your contractor estimate. You should particularly be on the lookout for hidden charges. Moreover, you should make sure you document any agreements and maintain your copy. While negotiating, insist on payment only after the terms of your agreement are complete. Negotiate away from upfront fees to prevent a situation where a contractor can walk out on an incomplete project. We are licensed and fully compliant with OSHA work safety rules. We provide a free estimate of our services through a simple phone call. We have the experience and knowledge necessary to handle all of your tree care needs.